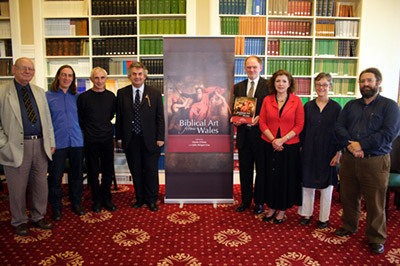 A book and DVD-ROM arising from the AHRC Imaging the Bible in Wales Project were launched at a series of three events in June 2010 at the Barber Institute of Fine Arts, Birmingham, the University of Wales, Trinity St David, Lampeter Campus, and the National Museum of Wales, Cardiff. 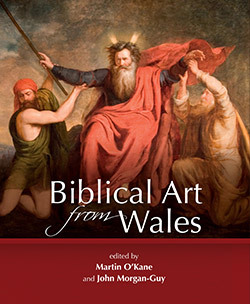 Biblical Art from Wales, edited by Martin O'Kane and John Morgan-Guy, contains contributions by seventeen authors, examining different aspects of biblical art in Wales. The volume includes studies of artists including David Jones, Blair Hughes-Stanton, Ivor Williams and John Petts, as well as overviews of work by Pre-Raphaelite and Gothic Revival artists, and artwork in Non-conformist chapels, Orthodox churches and synagogues. The book is fully illustrated in colour throughout and beautifully designed by Olwen Fowler. Many photographs were taken as part of the research on the Imaging the Bible in Wales Project at places of worship and archive collections throughout Wales and beyond. Acoompanying the book is DVD-ROM produced for the project by Martin Crampin. 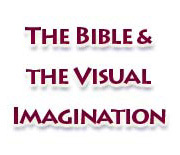 The DVD-ROM, Imaging the Bible from Wales, contains an innovative presentation of a further eight themes arising from the project, containing hundreds of additional images and interviews with artists, scholars and experts from a range of disciplines.